(Newser) – At first it looked like an inspiring tale of a plucky teen sailor trying to circumnavigate the globe alone, rescued from storm-tossed seas in a big-hearted Australian government operation. 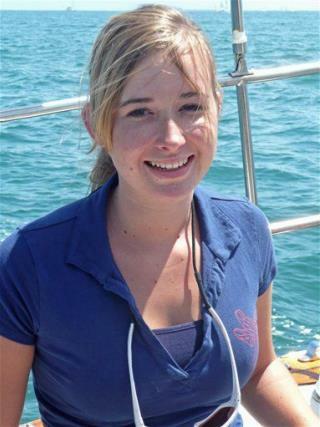 But anger continues to mount as Abby Sunderland's near-death experience underscores the dangers she faced because her parents "allowed her to risk her life in search of a dubious and ultimately, meaningless, record," notes Leonard Pitts Jr. in the Miami Herald. Their judgment is particularly dubious since it was revealed they were shopping around a reality program on Abby's odyssey and that 5 cameras had been mounted on her sailboat. A producer has blasted the Sunderlands for "pushing" Abby, while dad Laurence says he broke off his relationship with the company early on because the producer was hoping for a ratings-boosting death. Pitts compares Abby's story to the Heene family balloon boy hoax and 7-year-old pilot Jessica Dubroff who crashed and died trying to break a flight record. "The common thread?" asks Pitts. "Parents narcissistic enough to believe they belonged on television and calculating enough to exploit their own children to get there." Abby has defended her parents and plans to try her round-the-world sail again one day. Must be a slow news day if crap like this garners headlines. Mary Papenfuss: "Journalist" who should be shot... or rather beaten silly? Did she really think it over before advocating for the assasination of someone's parents, however stupid, narcissistic, selfish, idiotic, reckless and unfit they may be as parents? This kind of sensationalistic, garbage "journalism" is evey bit a part of society's problems. In fact, this piece of work is well beyond that, sadly. Perhaps Ms Papenfuss should apply for a job in North Korea or Iran or something. But here, this type of careless, reckless rhetoric has no place in our politics OR our "journalism".